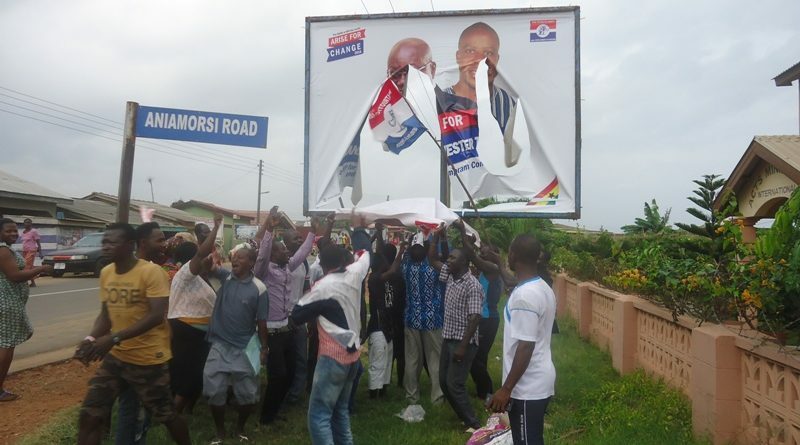 Some supporters of the New Patriotic Party (NPP) at New Ningo in the Ningo-Prampram Constituency, Greater Accra Region, have hit the streets to register their anger at an NPP banner on a billboard some unidentified persons have torn. The billboard is the property of DDP, a private advertising company, and it had been advertising the banner of Enoch Teye (ET) Mensah, outgoing Member of Parliament (MP) for the constituency, for the many years he had been MP until he was given a resounding beating by his trainee, Samuel George Nartey, in the National Democratic Congress (NDC) primary. 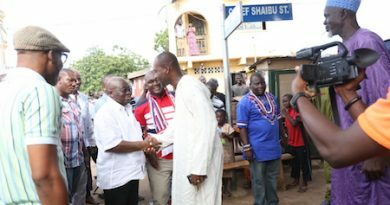 The billboard is sited on the Aniamorsi Road, from Prampram, and Seth Kwasi, spokesperson for Friends of Sylvester Tetteh, a support group for the NPP parliamentary candidate for the constituency, said the banner had the pictures of Nana Addo, NPP 2016 presidential candidate, and Sylvester Tetteh. Displaying NPP miniature flags and a poster of Sylvester, the demonstrators peacefully marched through the main principal street of the area, singing and blowing vuvuzelas—a duplicate kind of South African loud horn made of plastic. 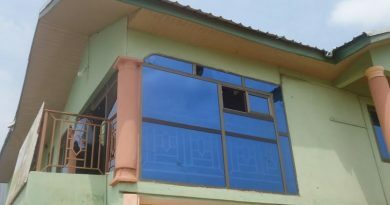 Seth Kwasi said the NPP in New Ningo could not understand why some faceless persons would engage in the criminal act, after their candidate had spent a little over GH₵170,000 to print the large format banner and paid for other expenses to get the job done. He explained that for the many years the same billboard advertised ET Mensah, nobody tempered with it. 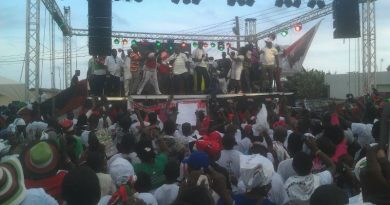 He, therefore, said the party did not understand why a week’s old NPP banner would be torn apart by their prime suspect, the NDC. Seth Kwasi told ghnewsnow.com that the matter had been reported to the police. He said the police should investigate the act and punish the culprits.